Jacques’s great passion in life was music and he would spend every single moment of his free time practising guitar riffs with his friends in the Trinité area of Paris. (These early musician friends included Hadi Kalafete and a young man by the name of Jean-Philippe Smet, who would go on to become the legendary French rock star Johnny Hallyday). Rock’n’roll was beginning to drift over the Atlantic in the early 60’s and Jacques Dutronc soon found himself caught up in the Yéyé craze (as the French dubbed their own version of rock’n’roll). Inspired by the thriving music scene in Paris, Jacques went on to form his own group El Toro et les Cyclones who began to make a name for themselves on the French music scene in 1962. Indeed El Toro et les Cyclones scored two minor hits with a couple of four-track singles they recorded in the spring of that year. Jacques Dutronc’s teenage music career was soon cut short, however, when he was sent off to do his national service in Germany. But as soon as Jacques returned to Paris he threw himself back into music with a vengeance and soon landed a job playing guitar for the famous French 60’s star Eddy Mitchell (former lead singer of Les Chaussettes Noires). Jacques Dutronc rapidly made a name for himself on the French music scene and went on to become artistic director of the Vogue label, where he was responsible for signing new artists and writing material for his new protégés. One day Jacques Wolfsohn, a colleague at Vogue, introduced Dutronc to Françoise Hardy, one of the fastest rising young stars of the Yéyé era. Dutronc went on to write a whole string of hits for Françoise Hardy including "Va pas prendre un tambour" and "C'est le temps de l'amour" (an adaptation of the instrumental track "Fort Chabrol" which Dutronc had written for his old group Les Cyclones). In 1965 Dutronc was to make another important encounter which would influence the rest of his career, becoming great friends with the famous French writer Jacques Lanzmann. The pair would embark upon a long and extremely successful songwriting partnership, their 10-year collaboration producing several of Dutronc’s best-known hits. For it was around this time that Dutronc stepped out of the songwriting shadows and launched his own singing career. Dutronc went into the studio to record his début single in 1966. When "Et moi et moi et moi" (a Dutronc/Lanzmann collaboration) was released shortly afterwards, the single shot straight to the top of the French charts, rocketing Dutronc to stardom overnight. The singer’s nonchalant stage persona and the ironic, almost insolent way in which he delivered his lyrics proved an instant hit with the French public who adored Dutronc’s openly provocative style. Dutronc’s sartorial elegance also made a great impact. In an age where most pop stars were growing hippy beards and dressing in Afghan coats and bell-bottom jeans, Dutronc’s tailored suits and chic silk ties were guaranteed to make him stand out from the crowd. Dutronc’s second single, "Les Play Boys", soon proved just as successful as the first and less than a year after his début on the French music scene Dutronc went on to win the prestigious Prix de l'Académie Charles Cros" for his songwriting. 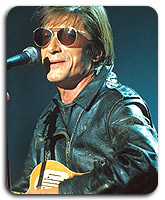 At the end of 1966 Dutronc went into the studio to record his début album "Les Cactus". Needless to say the album soon followed in the successful footsteps of Dutronc’s singles, rocketing straight to the top of the charts and selling over 1 million copies within a year of its release. Following the phenomenal success of his début album, Dutronc turned his attention to his live shows, giving 200 concerts in 1966 alone. Dutronc was a natural-born performer. His ironic lyrics and his cool, sardonic style proved a great hit with audiences who loved the unpredictable nature of his performances - Dutronc was renowned for arriving on stage with the weirdest accessories (leaping around with everything from a household broom to a toilet-roll holder !) The singer and his backing group (with future Alain Chamfort on keyboards) certainly delivered some of the most energetic live performances the 60’s French music scene had ever witnessed. 1966 would also prove a memorable year in Dutronc’s personal life, for the singer started going out with Françoise Hardy (who had become something of a French superstar herself by this point). Meanwhile Dutronc’s recording career continued to go from strength to strength. In 1967 he released a whole string of hit singles including "J'aime les filles", and the classic "Il est cinq heures Paris s'éveille" (which was recently voted best French song of the last 40 years). "Il est cinq heures Paris s'éveille", a song which absolutely epitomizes Dutronc’s repertoire, was co-written by Jacques Lanzmann and his wife Anne Segalen. The following year Dutronc wrote and recorded another classic, "L'Opportuniste", a song full of ironic allusions to the political events of May 1968. In 1969 Dutronc abandoned cool irony to lay on the charm, playing with a new seductive image on "L'Hôtesse de l'air" and "L'Aventurier", his two hit singles of that year. 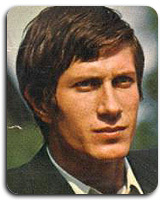 (Dutronc would soon gain a reputation in the national press for being a full-time party-goer and womaniser). In 1970 Dutronc took a break from his hectic recording schedule to work on a personal project with the cartoon illustrator Fred. The pair created two 20-minute children’s tales, "Le Sceptre" and "La Voiture du clair de lune", Fred writing the lyrics and Dutronc setting the stories to music. Unfortunately, this project did not meet with the same success as Dutronc’s previous recording work. After a two year break from the live circuit Dutronc began performing concerts again in September 1971, giving a show in a cabaret on the Avenue de l'Opéra. In 1972 the singer returned to the studio to record "Le petit Jardin" (a song which touched on ecological matters long before the green movement came into existence). Later that year Dutronc would record a new single featuring two covers of Serge Gainsbourg classics, "Elle est si" et "L'âge d'or". Dutronc and Gainsbourg went on to become great friends. Indeed, they would work together several times over the next few years. 1973 heralded a year of radical change in Dutronc’s career. In spite of the success of his 70’s hits, which included the famous TV theme song "Gentleman Cambrioleur", Dutronc began to pay less attention to his singing career and devoted an increasing amount of time and energy to his film work. He landed his first major role in "Antoine et Sébastien", a film directed by his close friend, the French photographer Jean Marie Périer. Dutronc’s on-screen performance proved a great hit with the critics, and from this point on the singer decided to divide his time between the recording studio and the film world. 1973 also proved a memorable year in Dutronc’s personal life, for on 16 June 1973 Françoise gave birth to a son called Thomas. Dutronc took a break from his hectic schedule following the birth of his son but he was back at the forefront of the French music scene in February 1975 with a new album entitled "L'Ile enchanteresse". Besides featuring four brand new songs written by Serge Gainsbourg, this album also included several of Dutronc’s hits from 1973 - 1975, written by Jean-Loup Dabadie, Jean Pierre Bourtayre and a final collaboration with writer Jacques Lanzmann. 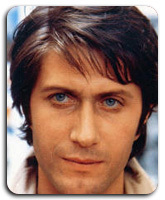 Later that year Dutronc turned his attention to his film career, starring in the Polish director Andrzej Zulawski’s classic "L'important c'est d'aimer". This role, which would prove to be one of the most outstanding of Dutronc’s entire career, allowed the actor to show the full extent of his talent. It also exposed a totally unexpected side of Dutronc, revealing the extreme sensitivity which the singer had always hidden behind his insolent attitude and caustic humour. Dutronc’s role in Zulawski’s film was soon followed by a score of other film parts. Indeed Dutronc practically abandoned his singing career in the late 70’s to make his mark on French cinema, starring in Claude Lelouch’s "Les bons et les méchants" in 1977, Francis Girod’s film "L'état sauvage" in 1978 and Jean-Luc Godard’s classic "Sauve qui peut (la vie)" in 1980. One of the rare moments in the late 70’s when Dutronc did return to the studio was when he recorded a duet with his wife ("Brouillard dans la rue Corvisart") which was featured on Françoise Hardy’s 1978 album. Dutronc would not record any new material himself until 1980 when he made a major comeback on the French music scene with his album "Guerres et pets". "Guerres et pets" (on which six of the nine tracks were co-written with Serge Gainsbourg) did not prove as commercially successful as Dutronc’s previous albums but by now the singer had established such a reputation that his new releases were hailed as major events in the French music calendar. The album "Guerres et pets" produced one classic hit single "L'Hymne à l'amour (moi l'nœud)", a quirky Dutronc-Gainsbourg protest against racism. It also featured a new version of "Le temps de l'amour", a song which Dutronc had written almost 20 years earlier for Françoise Hardy. On 30 March 1981 Françoise Hardy and Jacques Dutronc finally decided to tie the knot, flying down to Corsica to get married in Monticello. Dutronc had by now adopted Corsica as his second home and the couple had already bought a house in Monticello, where the singer would spend an increasing amount of time over the coming years. In 1982 Dutronc returned to the studio to record a new album entitled "C'est pas du bronze", this time partially co-written with Lanzmann’s wife Anne Segalen. Two years later Dutronc was back at the top of the French charts with his controversial hit single "Merde in France". The single not only attracted a huge amount of media coverage, its scatological title and caustic humour also proved that Dutronc had lost none of his rebellious touch. Following this success, the singer took a short break from the music scene, making a comeback in 1987 with a new album entitled "CQFDutronc". This album, recorded with one of David Bowie’s former guitarists and Jean-Jacques Burnel from The Stranglers, had a heavier rock feel to it than Dutronc’s previous work. "CQFDutronc" failed to equal the commercial success of his early days but the album did feature a number of interesting duets, including "Mais qui se soucie de nous" (recorded with French pop star Etienne Daho) and "Opium" (on which Dutronc teamed up with Serge Gainsbourg’s girlfriend Bambou). Dutronc also paid tribute to his adopted home on the track "Corsica", recorded with the legendary Corsican group I Muvrini. on to play one of the most famous roles of his entire career. In May 1991 Dutronc was to give an utterly convincing performance as Vincent Van Gogh in Maurice Pialat’s film about the last days of the painter’s life, spent in the village of Auvers sur Oise (north of Paris). The film was released to major critical acclaim in 1992 and later that year Dutronc would win a César award (the French equivalent of the Oscar) for his brilliant performance. 1992 was to prove a veritable year of triumph for Dutronc, for later that year the singer would make a major comeback on the French music scene. A series of wacky TV ads, shot by Dutronc’s old friend Jean-Marie Périer, heralded his appearance at the Casino de Paris on 3 November. When Dutronc leapt on stage at the start of his month-long run he was greeted by rapturous applause from the thousands of fans who had flocked to see him. Dutronc had lost none of his popularity over the years and when he launched into a revival of his old 60’s hits his performance absolutely brought the house down. It certainly came as no surprise to anyone when Dutronc scooped a "Victoire de la Musique award" in February 93 for the Best Live Concert of the Year. When Dutronc’s live album - recorded during the concerts at the Casino de Paris - was released later that year it proved an absolute smash, selling over 600,000 copies. Following this phenomenal success at the Casino de Paris, Dutronc’s record company released several Greatest Hits compilations including a retrospective of Dutronc’s work for the Vogue label (1966 - 1976) which was eye-catchingly packaged in a tin can ! In March 1993 Dutronc embarked upon a major tour, stopping off to appear at the Festival de Bourges in April and the famous Francofolies festival held in La Rochelle in July. The singer also managed to squeeze in a memorable performance at the Leysin Rock Festival in Switzerland and a new series of concerts at the Casino de Paris later that year. These concerts featured a typically Dutronc innovation, the singer inviting a different journalist up on stage each night for a live interview. These hilarious interludes were extremely nerve-wracking for the journalists involved but they proved to a huge hit with the audience. ("Elle m'a rien dit m'a tout dit") and the talented songwriting duo Thomas Dutronc and Arnaud Garoux ("A part ça"). "Brèves Rencontres" also featured another excellent duet with French pop star Etienne Daho ("Tous les goûts sont dans ma nature"). 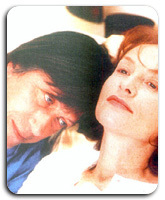 In the winter of 1995 Dutronc turned his attention to his film career once again, flying out to Morocco to begin shooting Patrick Grandperret’s new film "Les Victimes" (which appeared on French cinema screens on 11 September 1996). 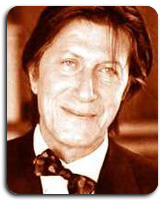 Dutronc also starred in Nicole Garcia's "Place Vendôme" in 1998 and Claude Chabrol's "Merci pour le chocolat" in 2000. Dutronc made a comeback on the French music scene at the start of the new millennium, teaming up as a surprise double act with French rap star Stomy Bugsy to record the single "Une tombe à la place du cœur". Dutronc was rumoured to be working on a new album but before any concrete proof emerged of this, the singer made a guest appearance on Françoise Hardy's new album, released in May 2000. In fact, husband and wife teamed up to record "Puisque vous qui partez en voyage", the famous French classic penned by Jean Nohain and immortalised by Mireille in 1935.